You have Influence and the ability to positively impact your community and world. No matter where your influence is–in your family, school, work or church–when you commit to grow your leadership, everyone around you wins! Join 445,000+ people around the world for two days of world-class leadership training via videocast as we host this event on Thursday, Nov. 1st and Friday, Nov. 2nd. Gain fresh, actionable and inspiring leadership content from a world-class faculty right here at City Life Church Portsmouth. Come for two days of world-class leadership training. Please click on the button below to see all info for speakers and format as well as tickets available! We are pleased to tell you that for lunch or if you would like to go and buy any snacks or non-alcoholic drinks, we have several in the area. We are blessed with Coop, Spar, and McColls and then we have a couple of Chinese takeaways, Fish & Chips takeaway and a Sandwich shop called Harpers. We also have Beeny's down the road which is a nice little coffee shop. Refreshments will be served on arrival and during the morning and afternoon break but lunch is not included in the conference fee. Alternatively, you may want to bring a packed lunch. Please be aware that there is only one hour allocated for the lunch break. We have a very nice family owned Inn up the road (Farmhouse INN) from the church which also has a pub attached (Hungry Horse) to it so you could have your breakfast or dinner there if you like. Or also at the end of the road you will find Harvester restaurant. The rooms at the Inn are very nice and clean and the people are lovely. You can usually get the best deals going directly through them but you could also check Expedia or Booking.com for good rates. Would you be so kind as to let them know that City Life Church Portsmouth sent you? Thank you. Due to the limited parking in our community, we have an agreement with Portsmouth College up the road who give us their car park to use for our Sunday services and special events. We will be offering this service, Park & Ride to all of the attendees for GLS. 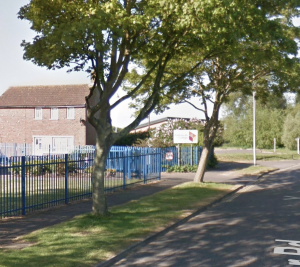 All you will need to do is go straight to the Portsmouth College on the same Road as the church and you will see our sign on the right hand side with someone waiting. You will park in a gated area and then we have a van which will bring you back to the church and return you to your car at the end of the day. It is also a nice little walk if you fancy walking, depending on how fast you walk about 10-15 min. PLEASE NOTE: Blue badge holders will be able to park on yellow lines outside of the church. We actually have two train stations close by; Fratton and Portsmouth & Southsea however, you will need to catch a taxi from either one. IMPORTANT NOTICE: Please don’t forget your GLS ticket (mobile or paper version) and have a safe journey.